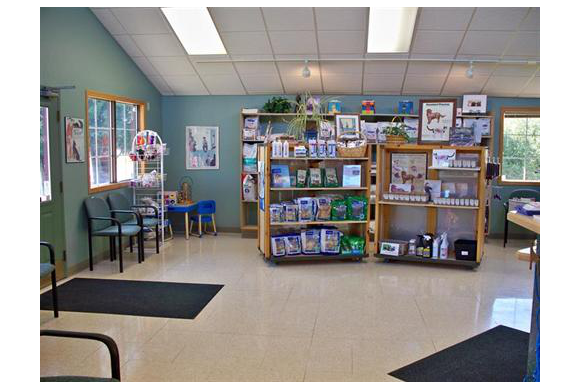 Welcome to Columbus Countryside Veterinary Clinic! 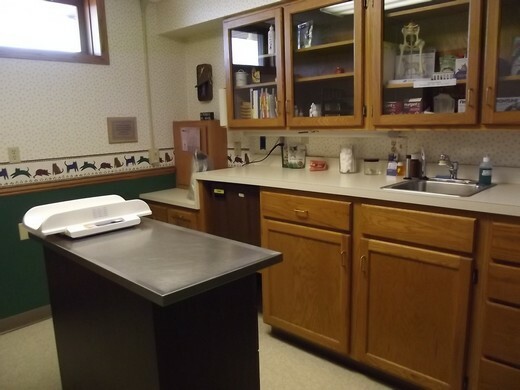 We're glad you are here, please enjoy a tour of our clinic. 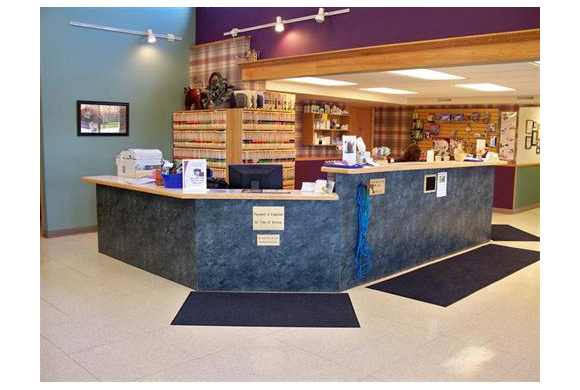 For your convenience, we carry prescription pet foods, supplements from Standard Process and VetriScience, our pet bakery, Canine Confections, and a unique selection of pet care items, toys and treats. 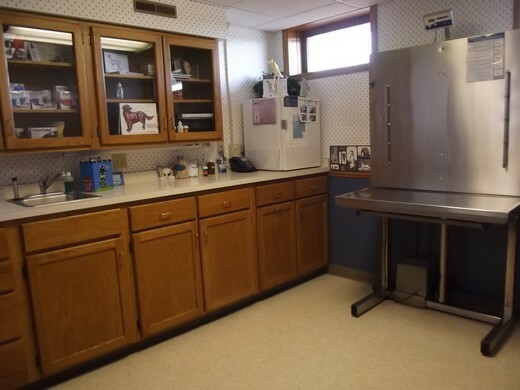 We offer separate cat and dog boarding for the comfort of all of our guests. 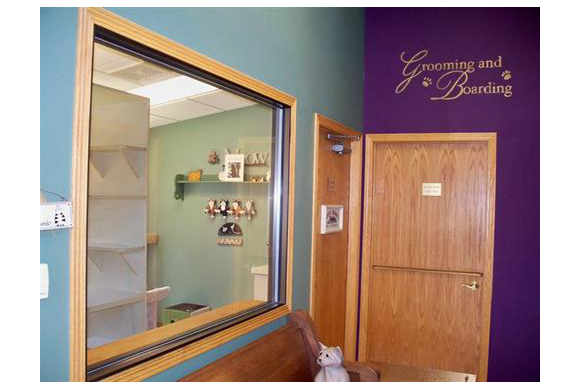 Here is the entrance to our cat boarding, and our grooming and dog boarding facilities. We are proud to have a facility smoke and fire detection system, which alerts 911 in case of emergency. Here is one of our boarding guests enjoying her double condo-notice the open port hole between to two condos. 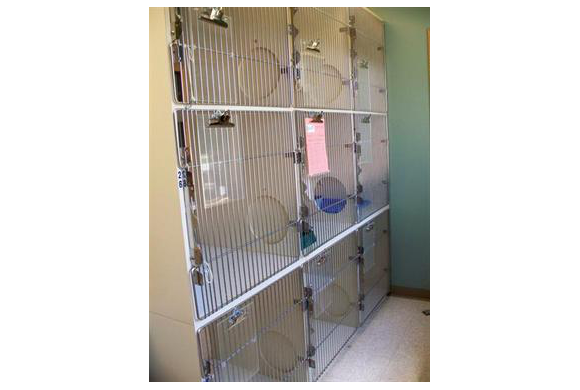 These port holes allow us to offer more room for one or more cats (from the same home, of course). 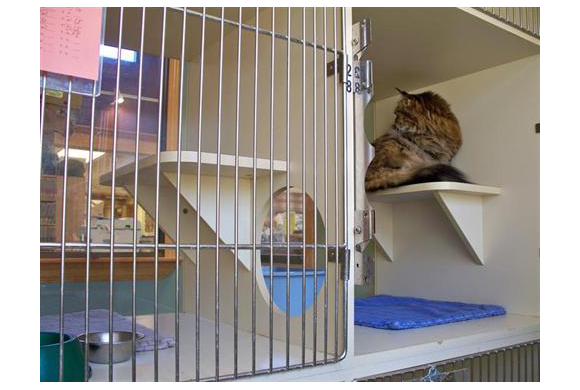 We offer 9 cat condos in a quiet, dog-free environment. 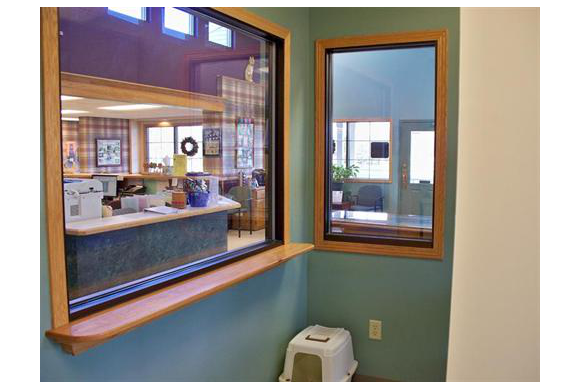 Our cat boarding area overlooks the reception area, as well as great views outside to the bird feeders. 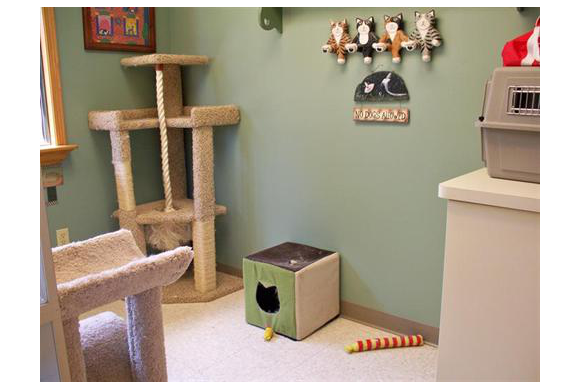 Cat trees offer a change of scenery and a bit of exercise for our cat boarding guests. 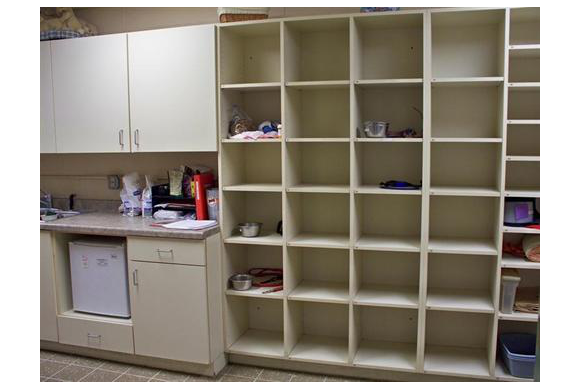 Each of our boarding guests has a separate storage area for their personal items while boarding with us. 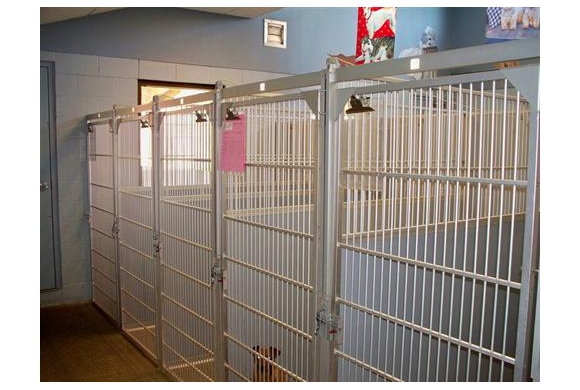 We have two dog boarding areas-our indoor/outdoor runs, and our indoor back-to-back runs. Here we have featured the indoor/outdoor runs. 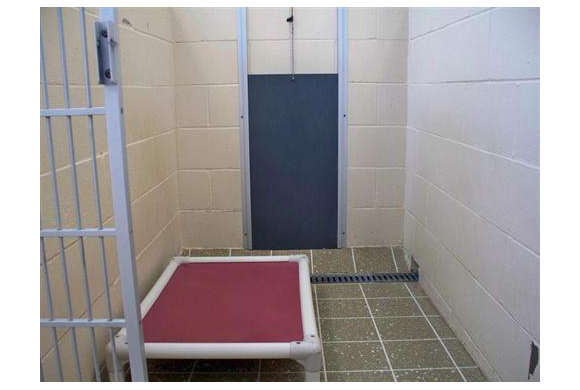 Our dog boarding areas feature heated floors for winter comfort. Our indoor/outdoor runs allow our dog guests options on where to spend their nice weather days-enjoying the fresh air or air conditioned comfort. 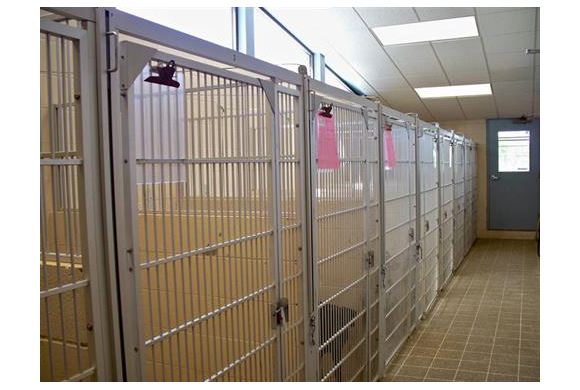 Our indoor back-to-back runs offer either a regular size run for our dog guests, or back-to-back options for additional space. A view of one of our back-to-back runs with the door between the runs open. 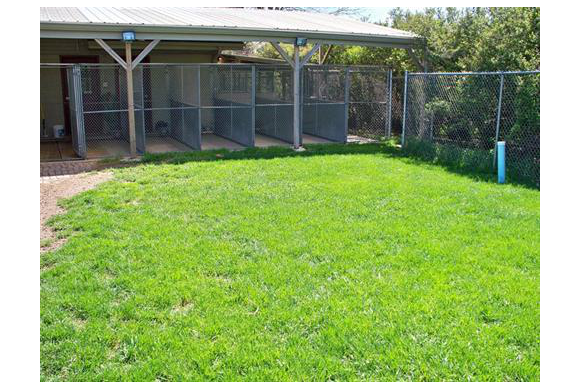 Additional play time in our outdoor fenced-in grassy areas is offered to our dog boarding guests. 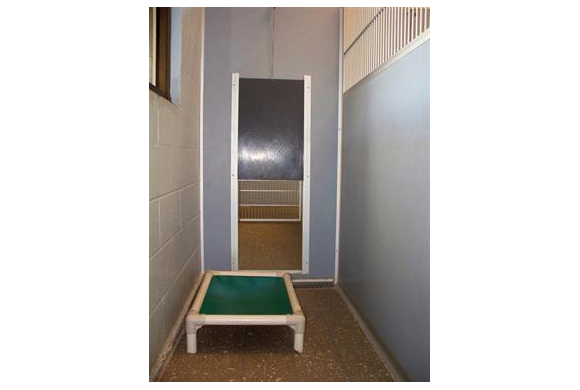 We have a designated exam room for our feline patients. 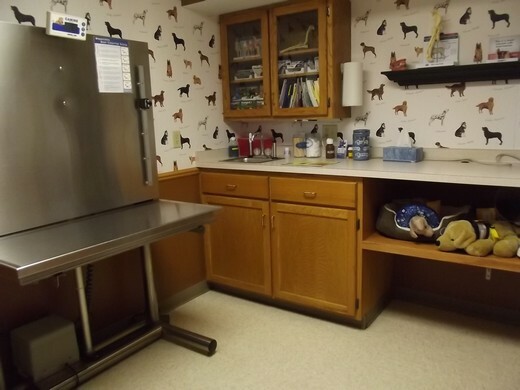 We have two dog exam rooms, both featuring power lift exam tables. 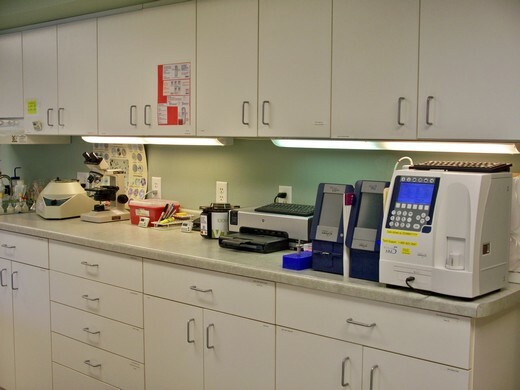 We have a full in-house laboratory, with blood testing machines, microscope for analysis of blood, urine, feces, and cytology. Our certified veterinary technicians utilize these tools to help our veterinarians provide prompt care for our patients. 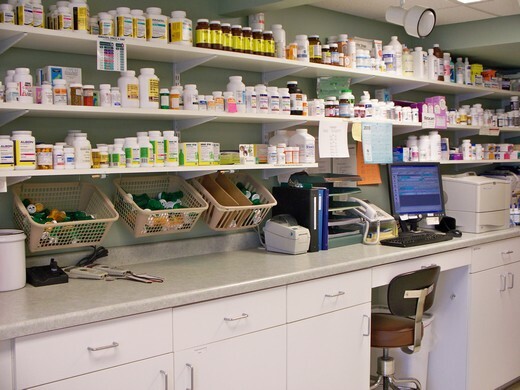 Our fully stocked pharmacy allows us to provide needed medications promptly for our patients.